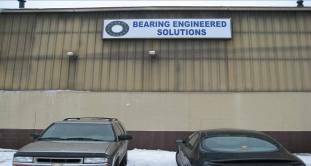 Bearing Engineered Solutions and Machine Co, Inc.
BES Bearing Engineered Solutions & Machining Co, Inc. Bearing Engineered Solutions and Machining is a multi-national company who specializes in bearing repair, rebuild, design, and manufacturing. We are dedicated to serving the Primary Metals, Pulp and Paper, Cement and Power Generation Industries. Our manufacturing division specializes in tapered, spherical, cylindrical, thrust, z-mill, and tension leveler bearings, along with a full chock and housing service. BES also offers a full machine shop for those customers that require drilling, milling, turning, or component part manufacturing. Established is 2000, BES has enjoyed growth by offering companies timely, economical, and quality solutions to their plant maintenance and manufacturing challenges. Our goal is to assist you in meeting your production schedules. Bearing Engineered Solutions & Machining Co, Inc.